Buba Galadima, the spokesman of the Peoples Democratic Party (PDP) presidential campaign organisation, has said that Atiku Abubakar will defeat President Muhammadu Buhari in the North West when the presidential polls hold this February. Galadima stated this while speaking on Channel Televisionâ€™s Sunday Politics. He also claimed that Atiku will divide the votes 50 to 50 with Buhari, even in the presidentâ€™s home state, Katsina. â€œI want to say that in the Northwest, namely Kebbi, Zamfara, Sokoto, Kano, Jigawa and Kaduna, Atiku will defeat Buhari 60 to 40 per cent on the minimum,â€ Galadima claimed. Galadima also said that there is no likelihood of President Buhari defeating Atiku in the North East, except Borno where he opined that no elections are likely to hold because â€œ20 local governments will be voting from Maiduguri IDP campsâ€. He added that the mammoth crowd seen at venues of recent APC rallies are charades, as people were paid to attend the presidential campaigns of the ruling party. 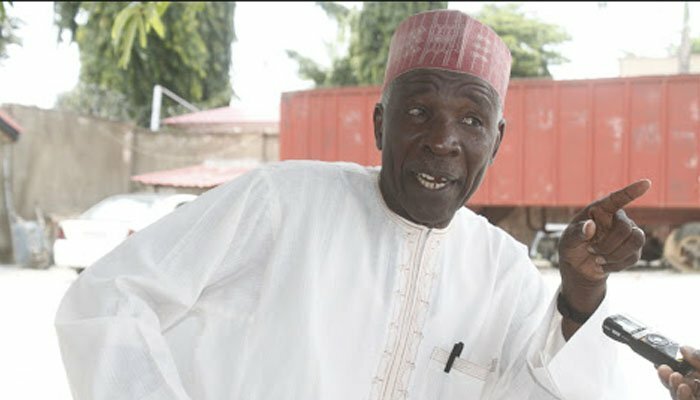 â€œEvery campaign that Buhari goes to in an APC controlled state, local governments are empowered with twenty to forty-five million naira to purchase people and bring them to these rallies, and suddenly Buhari starts addressing the crowd and they all disappear because they must fulfil the contract for which they were brought in,â€ Galadima added.